Microsoft Dynamics 365 connects directly to House-Hasson using the Microsoft Dynamics 365 House-Hasson Updater to allow for electronic item/price updates, sending purchase orders, electronic invoices and more. Microsoft Dynamics 365 connects directly to Orgill and other distributors to allow for electronic item load and updates, sending purchase orders, receiving electronic invoices and more. Microsoft Dynamics 365 connects directly to HDW to allow for electronic item load and updates, sending purchase orders, receiving electronic invoices, product images and more. Microsoft Dynamics 365 connects directly to Ace Hardware using the Microsoft Dynamics Retail Ace Hardware Updater to allow for electronic item/price hotsheets, sending purchase orders, electronic invoices and more. Microsoft Dynamics 365 connects directly to True Value using the Microsoft Dynamics Retail True Value Updater to allow for electronic item lists and price lists, sending purchase orders, electronic invoices and more. The Hillman Updater Connects Microsoft Dynamics 365 to Hillman to Perform: Electronic Invoice Receiving, Electronic Hillman Item Load and File Maintenance, Automatic Cross Reference to other Suppliers for the same UPC, Automatic Multi Unit of Measure Parent/Child Item for Items with Multiple Selling Units, and more. Monroe Hardware Company Inc serves dealers in the Southeast for all their hardware needs, from hand and power tools to building materials. Monroe Hardware Company powers their company owned Monroe Hardware stores with Microsoft Dynamics 365, the same point of sale available to Monroe Hardware dealer stores and hardware dealers worldwide. Microsoft Dynamics 365 point of sale connects directly to the Monroe Hardware Company warehouse for electronic item load and updates, sending purchase orders, receiving electronic invoices, product images and more. With the Emery-Waterhouse Updater, complete any hardware store POS System and support for lowest price. It has integrated credit / debit processing, gift cards, Farm Plan and more. This integration connects Microsoft Dynamics 365 to Emery-Waterhouse to perform: Order forecasting and automatic PO creation from supplier with lowest cost, Automatic or on-demand electronic item updates, Cross-referencing to other suppliers that supply the item to allow lowest cost ordering, Sending of electronic purchase orders, and Receiving of electronic invoices. Microsoft Dynamics 365 connects directly to Agway and other distributors to allow for electronic item load and updates, sending purchase orders, receiving electronic invoices and more. Microsoft Dynamics 365 connects directly to Blish-Mize to allow for electronic item load and updates, sending purchase orders, receiving electronic invoices, product images and more. Microsoft Dynamics 365 connects directly to TruServ Canada and other distributors to allow for electronic item load and updates, sending purchase orders, receiving electronic invoices, and more. BlueTarp Financial provides cash flow, increased sales and reduced risk for thousands of building supply dealers. Microsoft Dynamics 365 connects to BlueTarp Financial for real-time authorization and transaction processing for dealers. Microsoft Dynamics 365 AndersenIQ Integration provides direct integration of Andersen Intelligent Quote software into Microsoft's Microsoft Dynamics 365 point of sale and converts AndersenIQ window and door designs directly into Microsoft Dynamics 365 quotes, sales or work orders. Users can use AndersenIQ Integration to: quote, sell, deliver, or install in Microsoft Dynamics 365. Microsoft Dynamics AX Modern POS can be used on Smartphones, Tablets, and Handheld PCs. It has all POS capabilities such as Item Lookup, Customer Analysis, Ecommerce Integration, and Sales right at your fingertips! Microsoft Dynamics Retail Range Management allows a cashier to open an interface that displays all the lanes in the range. Range Management is configurable for number of lanes, waiver status, range rate, member discounts and more. Microsoft Dynamics Retail EMV integration provides EMV processing for the Microsoft Dynamics Retail Point of Sale System. Process EMV Sales, Returns and more using EMV Card Insert and Contactless Entry. Microsoft Dynamics Retail Fertilizer Blender blends fertilizer based on application rates. Automatically creates and sells the blended formula at POS while tracking component inventory. Customer formulas are saved for later use as well as unlimited pre-set formulas. Microsoft Dynamics Retail Firearms Bound Book and Electronic Form 4473 is a complete point of sale solution and replaces the manual Firearms Bound Book system. Process electronic Form 4473 and FBI NICS. Microsoft Dynamics Retail tracks serialized firearms and general inventory from receipt through sales, holds, layaways, returns and more. Microsoft Dynamics Retail users can access a Distributor's Nexpart-based Web site directly from Microsoft Dynamics Retail Point of Sale. This allows users of Microsoft Dynamics Retail to seamlessly access the Nexpart-based Web site for the purposes of stock checking parts, placing orders and/or lookup of special data, such as Specifications, TSBs and Preventive Maintenance. Oneonta Discount Building Supply struggled with paper based tickets and manual order processes that negatively affected their flow of business. As a House-Hasson Retailer with over 550 customer accounts, they needed a POS system in order to communicate effectively with their distributor and to serve their clients with ease. Microsoft Dynamics Retail and System Solutions helped Oneonta simplify business by bringing all their order processing and inventory management into one comprehensive solution. We are getting so much more for our money with Microsoft Dynamics Retail. It's an excellent integrated POS system for our industry and requires very little customization to do everything we need it to do. Microsoft Dynamics Retail turns new point-of-sale users into cashier pros with integrated help screens, training videos, multi-supplier EDI, and an ecosystem of support partners around Canada. Ithaca Agway and True Value managed their business with Epicor Eagle POS Software and were struggling with the high costs associated with it. The costs of Epicor Eagle affected their ability to competitively price their products and they often had to cut other store expenses to compensate. 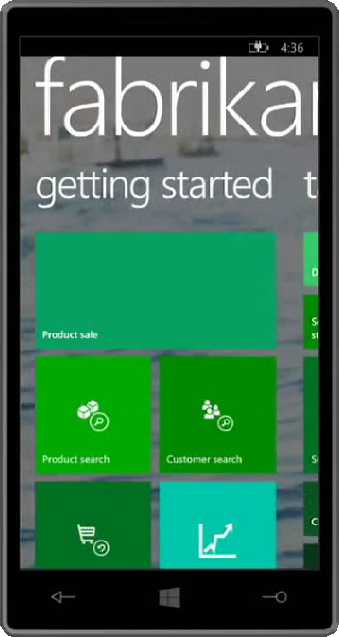 Control your store's inventory on a mobile device with the Microsoft Dynamics Retail Android Inventory App. Count physical inventories, edit and receive purchase orders, and print labels for items using an inexpensive Android smartphone. Scan in items with the phone's built-in camera. Built BY the Industry, FOR the Industry: Microsoft case study recognizes Microsoft Dynamics Retail and System Solutions for providing the tools to enhance communication, improve efficiency, and promote cost effectiveness. Read on to learn more about the Microsoft Dynamics Retail Hardware and Home Improvement point of sale. Microsoft Dynamics Retail Seljax Integration supports two-way integration between Microsoft Dynamics Retail point of sale and Seljax Estimating and 3D Design software. Watch Microsoft Dynamics Retail point of sale Seljax integration Demo. Lookup, identify and sell parts using the power of ARI PartSmart and Microsoft Dynamics Retail. Select diagrams to view colorized stock status, bin location, cost, pricing and more. Choose parts and submit to the POS screen for sale. Use picklists to create new service orders or update existing ones. Perform mass updates of part pricing from PartSmart to Microsoft Dynamics Retail. Microsoft Dynamics Retail point of sale maintains stock, forecasts requirements, and creates electronic orders for Blue Seal Feeds and more. Environment-friendly customer management from System Solutions. E-mail receipts and statements to your customers, complete with signatures, PO numbers, authorized buyers, etc. System Solutions offers a complete point of sale solution for your Parent-Teacher Store. Connect directly to Educators Resource using the Microsoft Dynamics Retail ER Updater to receive and send: electronic item/price updates, item images, purchase orders, invoices, warehouse quantities, and more. Microsoft Dynamics Retail connects directly to United Stationers using the Microsoft Dynamics Retail United Stationers Updater to allow electronic item/price updates, sending purchase orders,order confirmations and more.